Need a DJ for a wedding? How about a Sweet 16? We have the list to fill your needs! All the top DJs performing in Pennsylvania are in our comprehensive list below! Philadelphia DJ is your best choice for weddings in Philadelphia. They have an endless list of testimonials of overzealous previous clients. There website includes a thought-provoking Frequently Asked Questions section that not only tells you about this company, but questions to ask any company in general. Their simple intake form will have them responding to you within a day hopefully shortly thereafter being a group you book for your wedding! They offer a complimentary in-person consultation with each form! 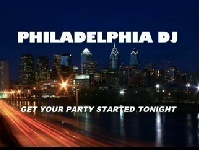 There is no reason to not go with Philadelphia DJ! 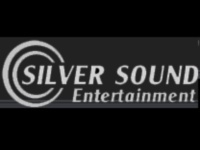 Silver Sound Entertainment differs from all the rest because of their attention to clients’ needs and wants. In addition to their 20 electrifying DJs, they offer many different party-amping amenities. Some of these amenities include photo booths, monogram lighting, party motivators, and confetti cannons! They have performed for weddings, mitzvahs, schools, colleges, and general parties. They offer a list of music that is brought to each event, in addition to requests! There is a list of all different locations they have performed at so you can see if your DJ is familiar with their environment! Give them a try for your next big event! The Best in Trance and House Music! DJ Roleplay reinvents the classic idea of DJs. His unique background from club promoting to the marines finally to the lifestyle of DJing makes him a unique artist in the music world. He began spinning tracks in 1999 and hasn't stopped since! He has a weekly podcast titled "Toxic" that you can listen to for free on his website, in addition to free tracks that you can listen to when you wish. You can catch him on any given Thursday at iCandy Nightclub, his weekly setup. 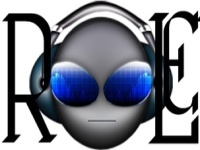 His website has a schedule of his events, so stop in and give DJ Roleplay a listen before booking him for any of your major events! Voted Best DJ of the Year! Critically acclaimed and much sought after DJ Perry Angelozzi has been spinning in Philadelphia, New Jersey, and New York for the last 15 years! Starting at the young age of 13, his first show was at The Chez in Atlantic City, NJ. He was the DJ for 91.7 radio station for the better part of 10 years. DJ Perry has worked with such artists as the Black Eyed Peas, Sting, Kiss and the Beastie Boys. He has a list of his scheduled events on his website. DJ Perry has an easy form to contact him through. Give him a call for your next big event! He's certain to keep the party alive! An Unquestionable Passion for Music! DJ Lisa Love started her DJing career in 2000 after taking a music production course. Since then she has performed at Brave New World Nightclub through the help of Come Kleen Productions. She was also the first female DJ in Philadelphia on a major radio station (Power 99 FM). She also runs her own business More Than Music DJ Institute where she teaches DJing classes to eager students. DJ Lisa Love has opened for such celebrities as Jennifer Hudson, Jadakiss, Cedric the Entertainer, and LL Cool J. You can catch her weekly radio show on Free Agent Radio Network. Her website has an easy to use contact form. 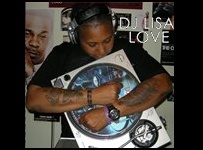 So check out some of her music and if you like what you hear, get started with DJ Lisa Love for your next big event!